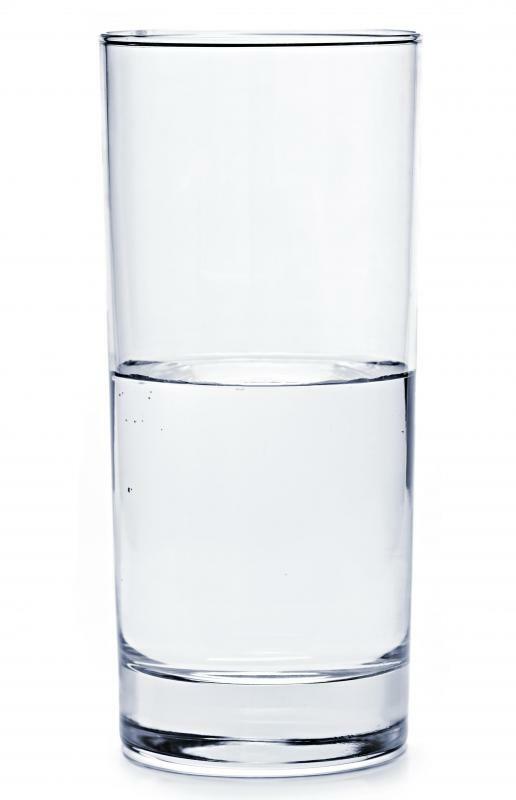 A glass of well water. 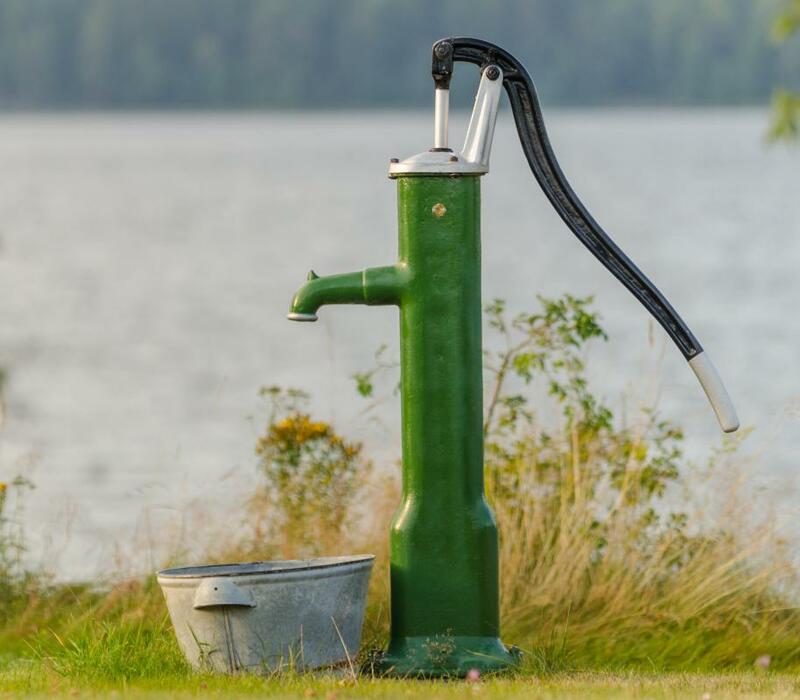 A hand water pump uses the power of suction to deliver water from an underground well. A water well is a well that technicians may dig, drive, or drill in order to get access to groundwater. Wells may be private, providing water to a single household, or can distribute water to several neighboring structures. In regions where municipal water is not available, wells can provide a steady supply of water. Other alternative water sources can include springs and diverted water from lakes, rivers, and creeks. Humans have been creating wells for thousands of years to secure water supplies. The dug well is the oldest design, where people dig until they hit groundwater that flows faster than they can bail. This can be done by hand or with tools like backhoes. Is is traditional to line the walls of the water well with tough materials to prevent collapses and minimize leaching from the surrounding ground, keeping the contents of the well as clean as possible. Dug wells usually have a cap above the surface of the ground to provide access to the well shaft, and use pumps to draw water up from the depths. In a driven well, technicians drive pipes into the ground with percussive force until they hit deposits of water. Pumps can pull water up the pipes after they are flushed to remove debris. This method of well design can be inexpensive and rapid, but the narrow diameter of the pipes may limit the amount of water available, and maintenance can become complex, as the pipes will periodically clog. Another water well design is the drilled well, the most common approach to well construction in many regions of the world. Using various tools, a drilling contractor will drill into the bedrock to access clean supplies of freshwater. The diameter of the well is narrower than a dug well and wider than a driven well. It is necessary to install a pump to pull water out of the aquifer. Some concerns with water well construction include placing wells in a location where they will not deplete water, a common concern when multiple wells draw on the same water table, along with thinking about locations likely to have contamination. Wells for drinking water cannot be near sites where chemicals, manure, and other potential hazards can leach into the well and contaminate the water. After a water well is in place, the contractor can perform some tests to find out how much water it pumps, determining the amount that will be available to the users. What Is an Open Well? What can Cause Tap Water to Smell Bad? What are Filtered Water Coolers? What Is a Water Hardener?